Heavy hauling is an auto transport service for shipping over-sized and heavy vehicles. Moving an over-sized load is a complicated process involving scheduling, choosing a secure route, and planning the process of shipping from A to Z. That is why it is so important to find a reliable auto transport company when you need this kind of service. 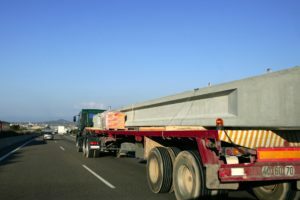 There are a lot of requirements when it comes to hauling heavy vehicles, and the carrier also must have all the needed permits. Make sure to rely on a professional team with this task – it is important to choose the right auto shipper for this job. We provide Philadelphia heavy hauling services for all types of heavy vehicles. Our company has all the required permits, as well as special equipment for loading, transporting, and unloading over-sized vehicles. Our professional team will schedule and plan the shipping and make sure the route is secure. We know that transportation of a heavy vehicle is a big job, and we have training and exercise to perform it in the right way. You can count on the full safety of our shipping services, and in addition, your vehicle will be under our auto hauler’s insurance for the time of transportation. It isn’t cheap to move a heavy vehicle. You need to plan your budget accordingly. But do not worry: our agents know how to get the best price for vehicle moving. We will get you a great quote for high-quality heavy hauling, and if any other company gives you a better price, let us know and we will beat it! Get a free quote from Philadelphia Car Transport today online or over the phone. We will be happy to ship for you!